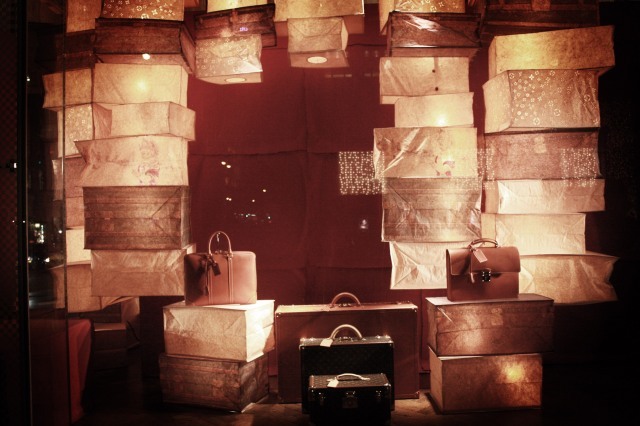 I always love a good Christmas window display. They are creative, fun to look at, and speak volumes about the store behind them. Have you seen any great ones while out and about lately? Which ones are your favorites? Here are a few of my favorites I've seen recently on the web for the 2010 holiday season. 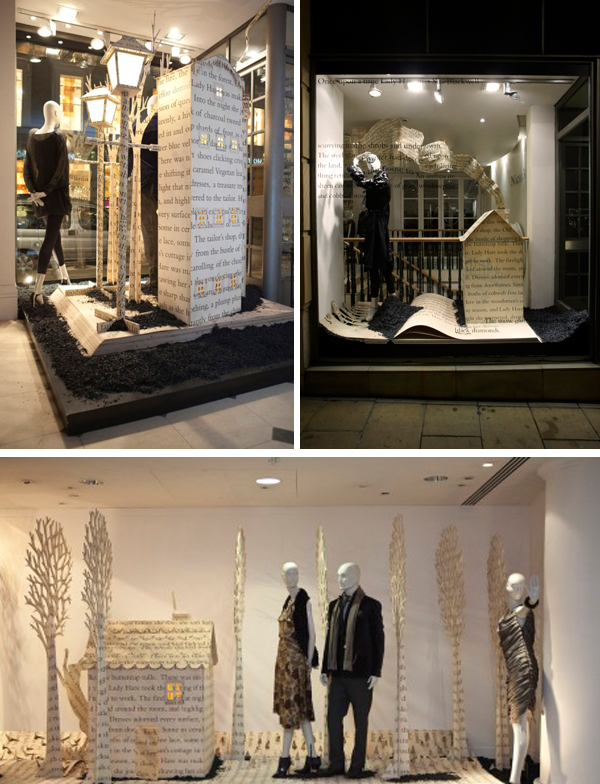 Nicole Farhi teamed up with talented paper sculptor Su Blackwell to create their magical paper creation windows. (photos from here) I also thought that Su may have done or consulted on the Tiffany & Co. windows, but I was unfortunately mistaken. You'll have to read this to find out more. I also have one more post coming up of a store that blows me away with their creativity in terms of window displays... any guesses? Stay tuned. Ooooh I adore the doily one. The LV here in Paris has the same display. love it! 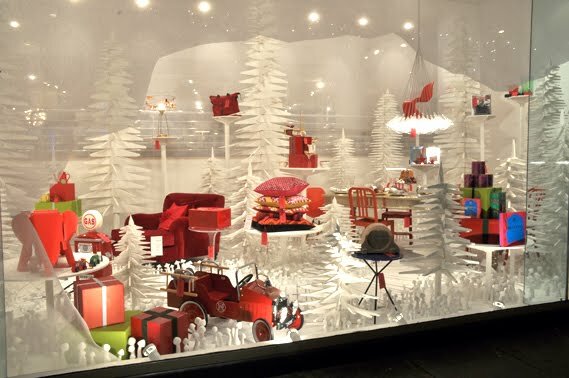 Love all the window displays, especially during Christmas! 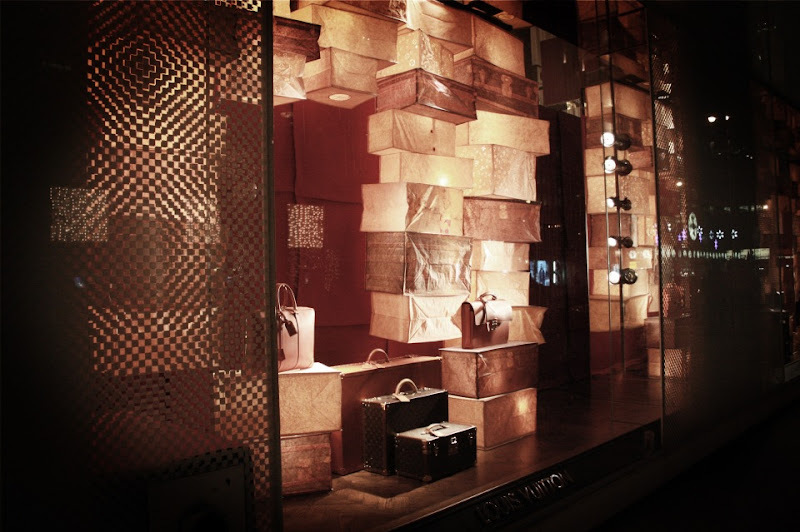 I was in paris 2 weeks ago, feel free to check out my pics of the Hermes Paris window display; posted not so long ago! Ooh... you picked some *great* ones! 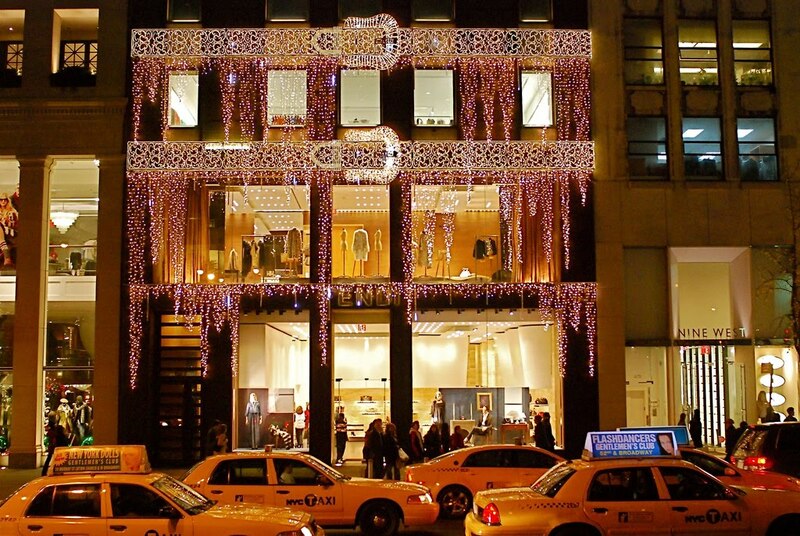 I especially love Chanel, Fendi & The Conran Shop. Here in Paris, Hermes and Lanvin have been the best. The Chanel trees are beautiful! I'm totally going to make miniature versions of those as table center pieces! I love the paper sculptures! These are so inspiring! Thanks for sharing. 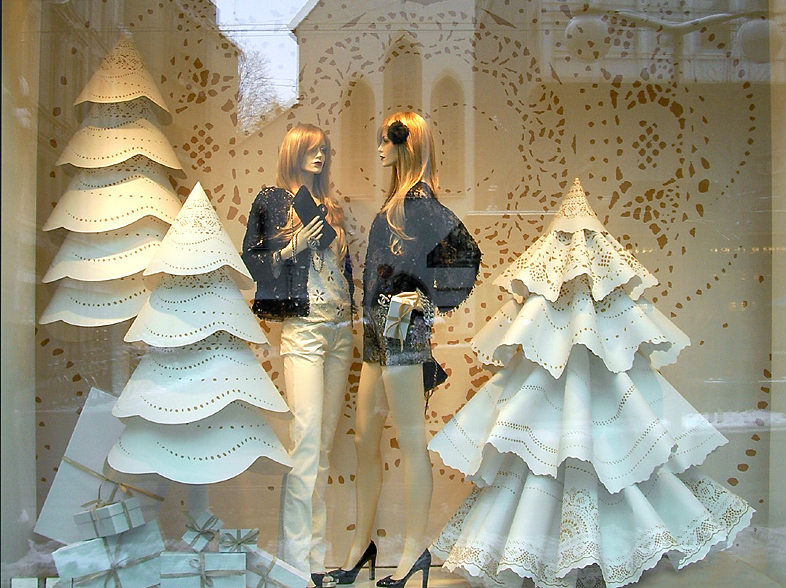 We filled our store's windows with 3-dimensional paper snowflakes and then went a little crazy and filled the whole store with them. It feels quite merry, even if we're having a rainy Christmas instead of a snowy one in Portland. You must be speaking of the Bergdorf Goodman holiday windows. They are magnificent!